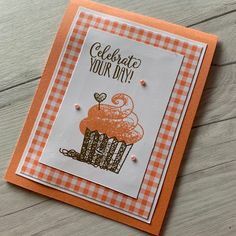 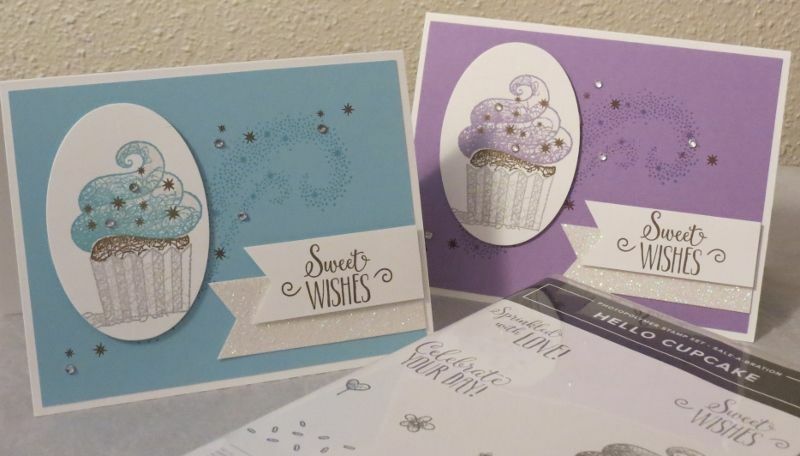 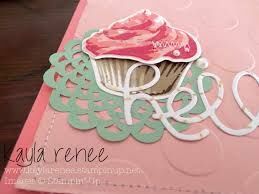 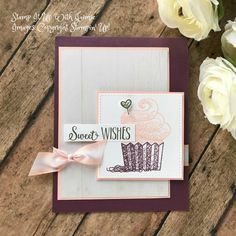 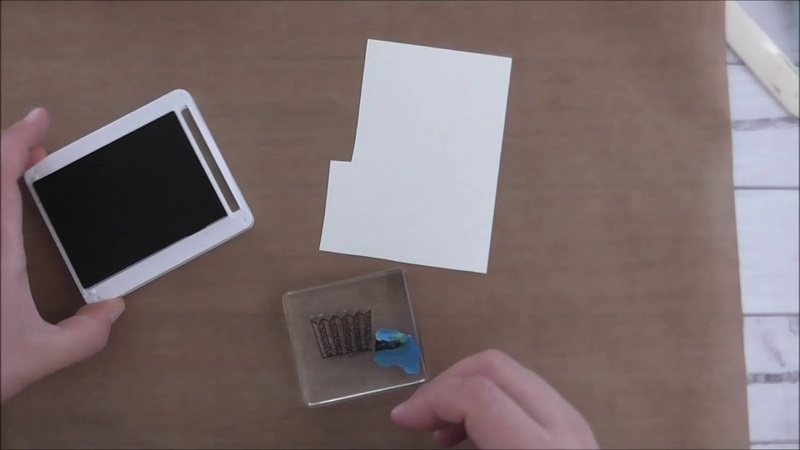 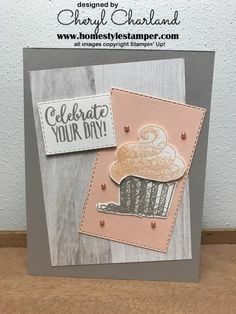 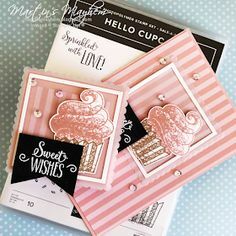 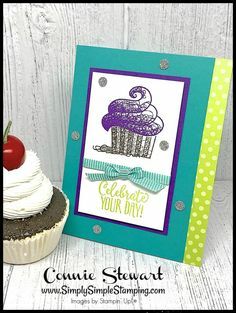 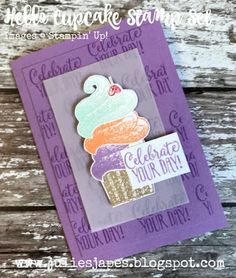 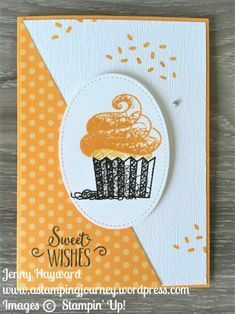 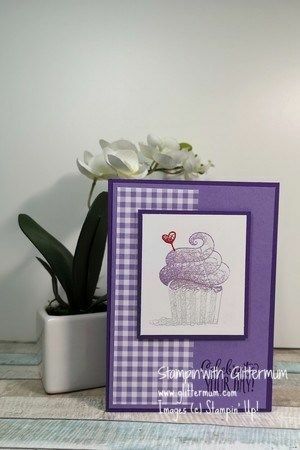 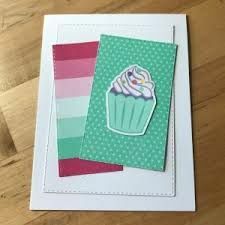 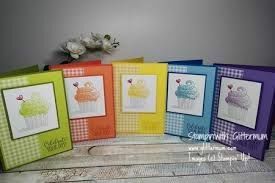 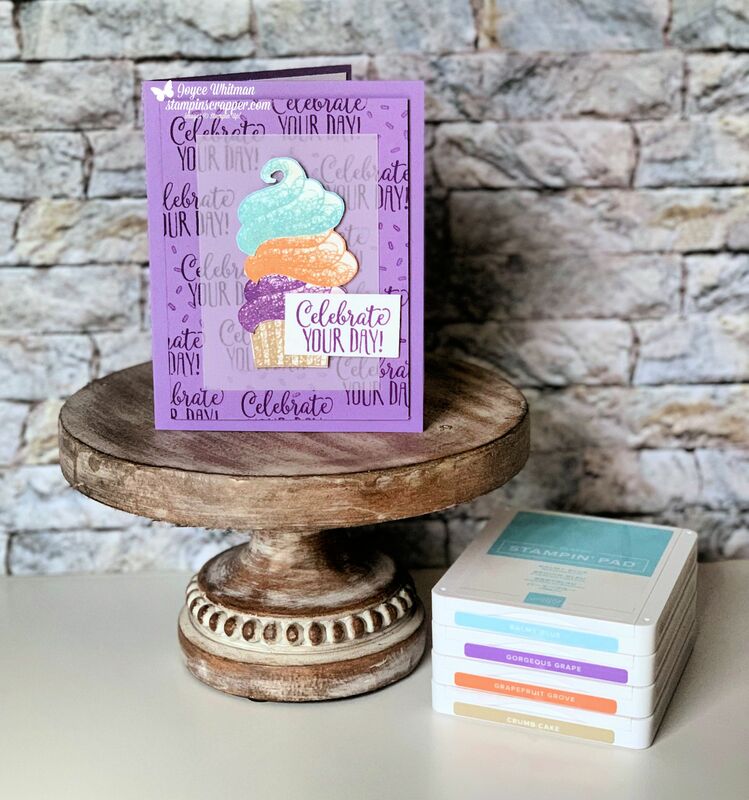 DIY Handmade fun birthday card featuring the FREE Hello Cupcake Stamp Set from Stampin Up. 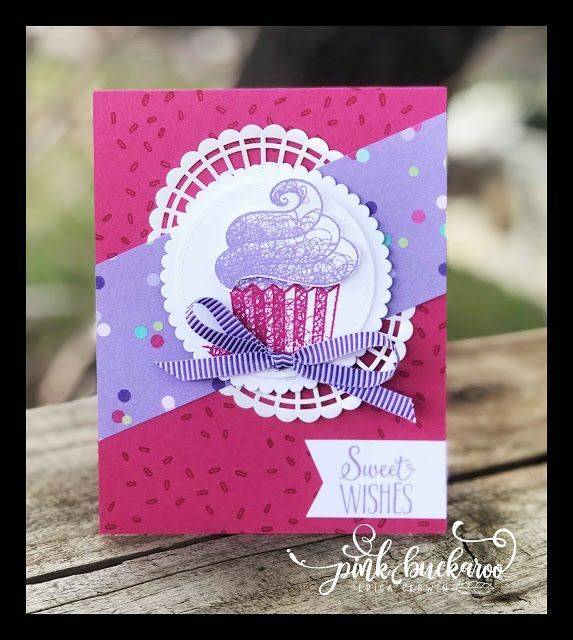 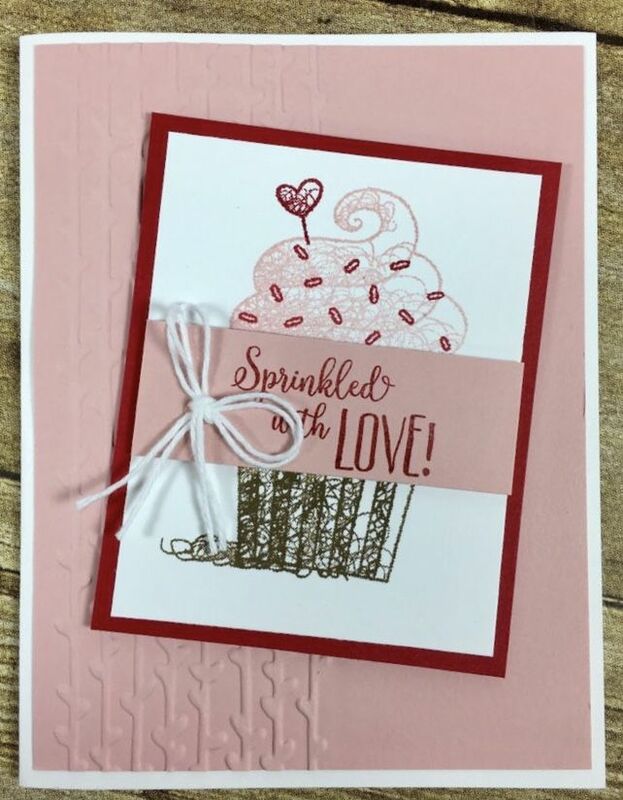 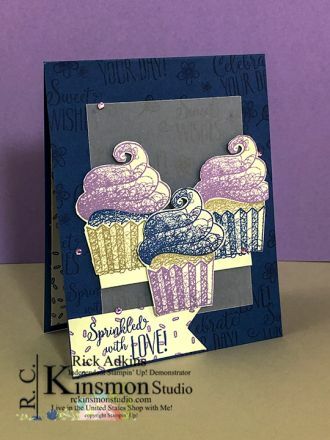 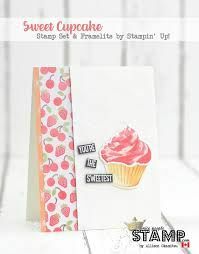 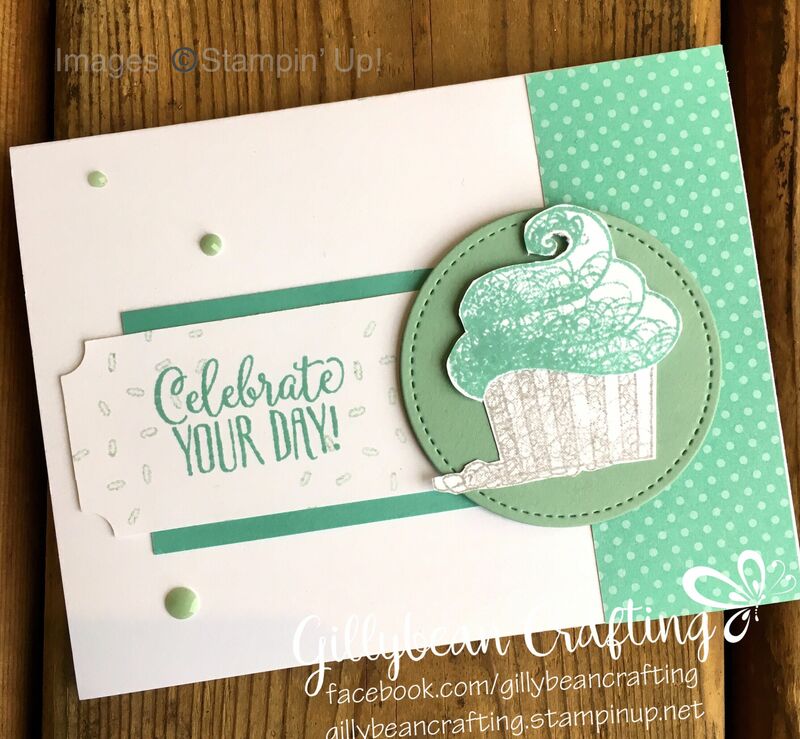 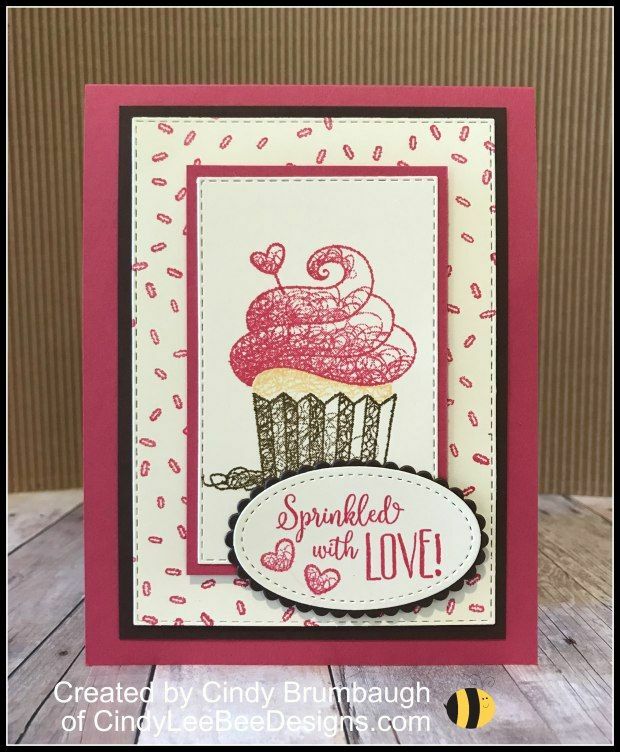 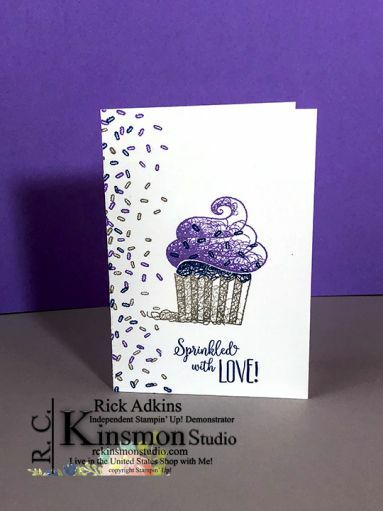 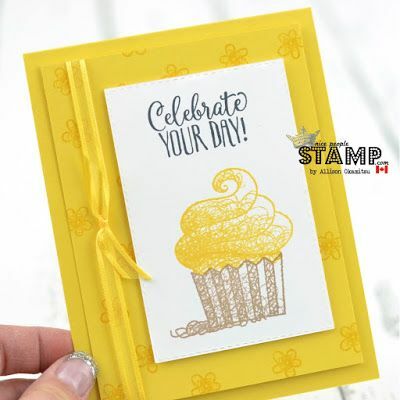 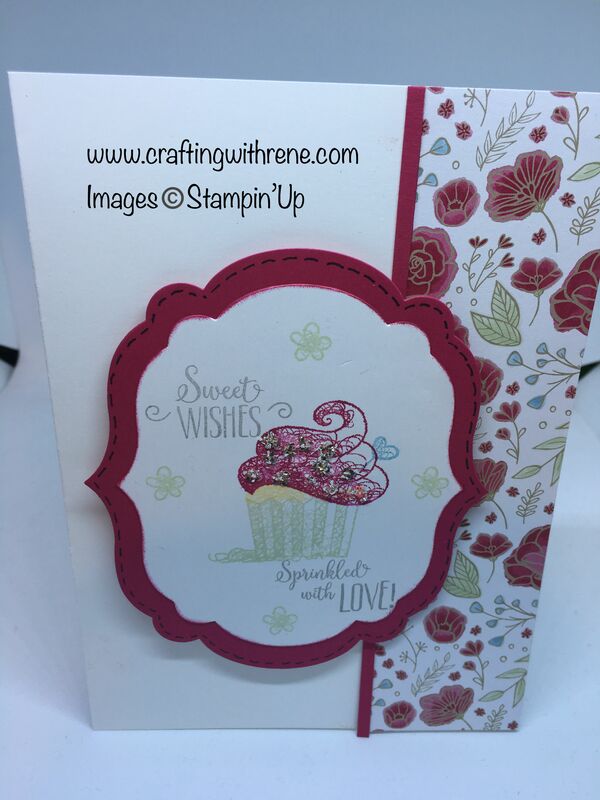 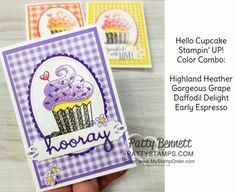 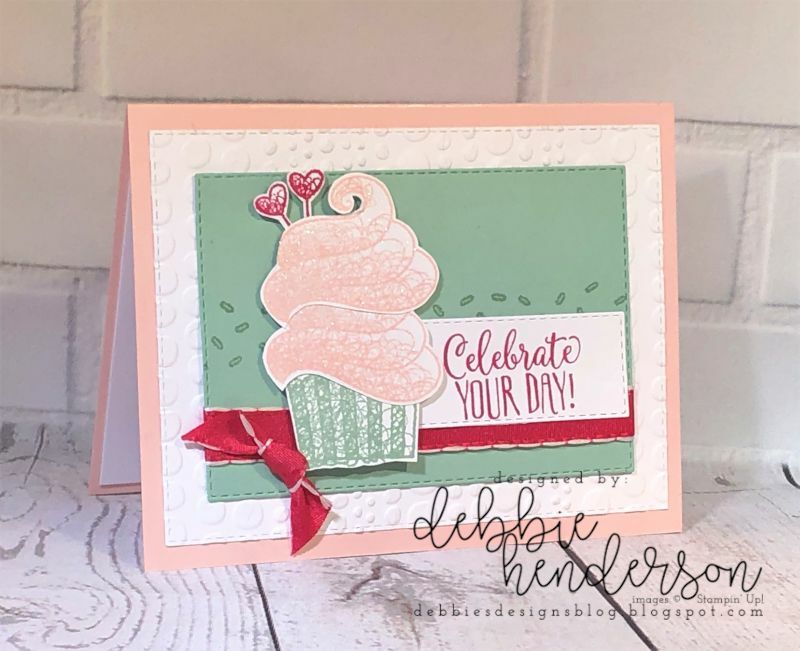 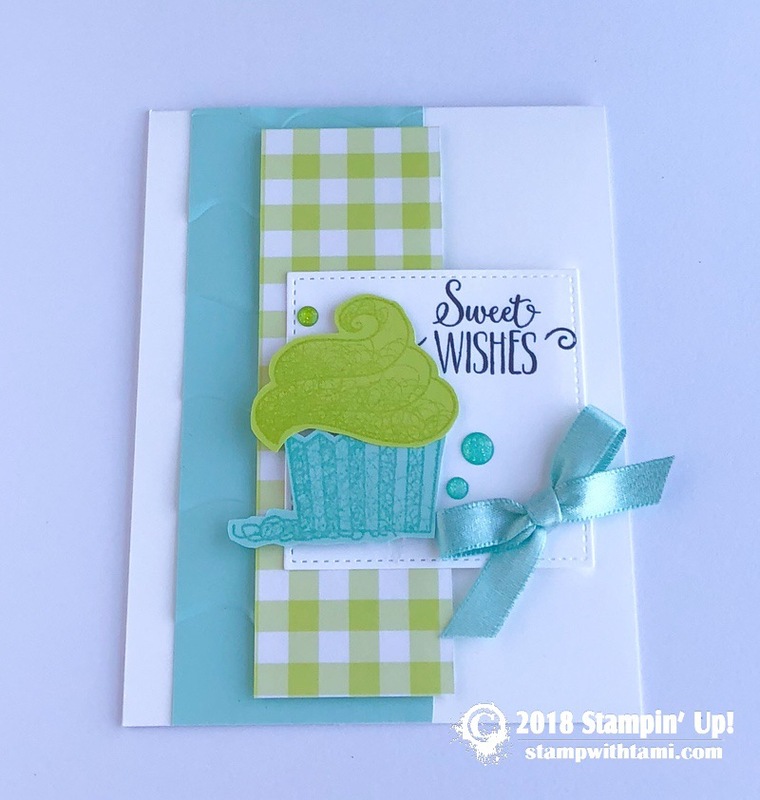 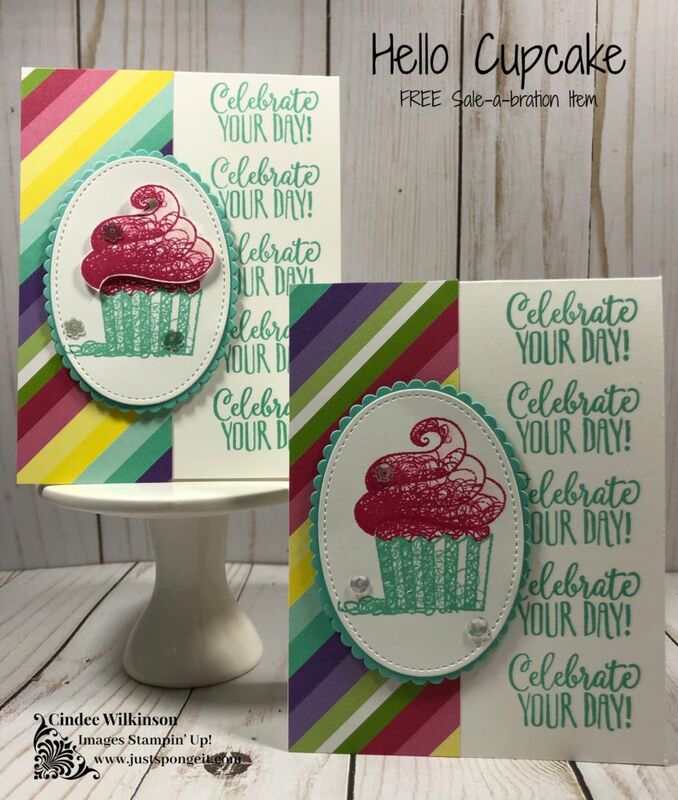 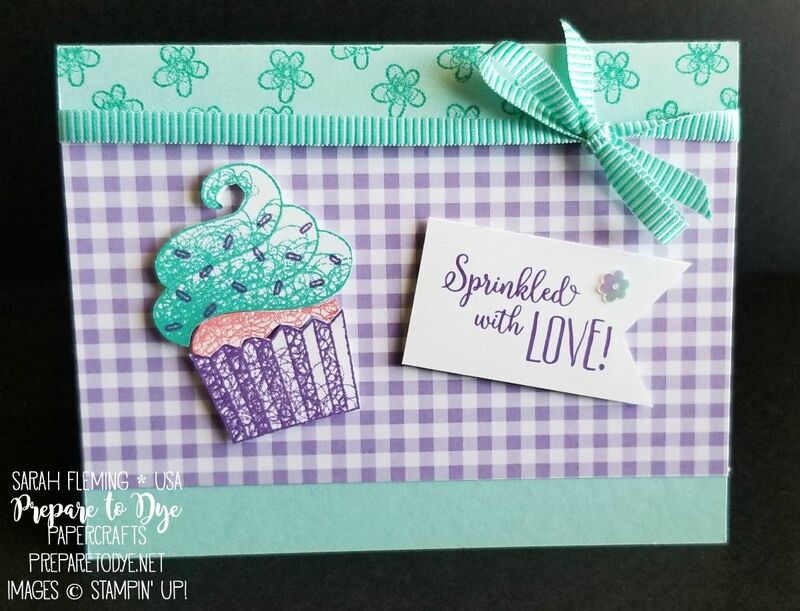 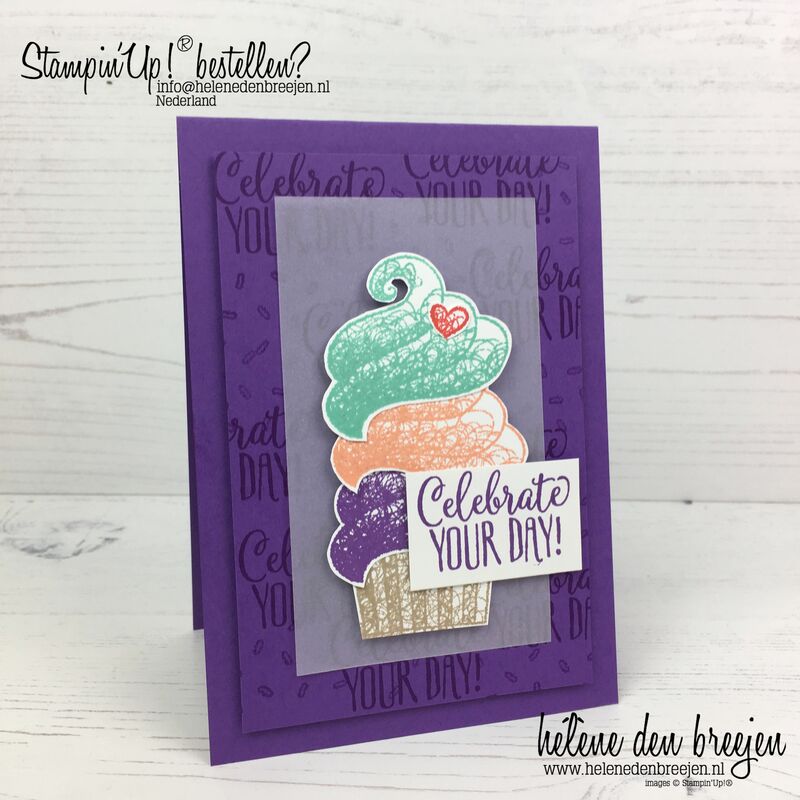 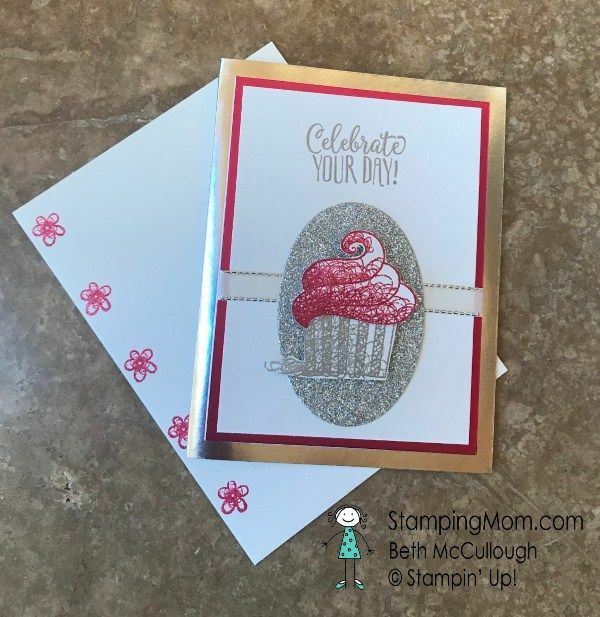 Saturday Simple Stamping Hello Cupcake – Rick D. Adkins (Independent Stampin' Up! 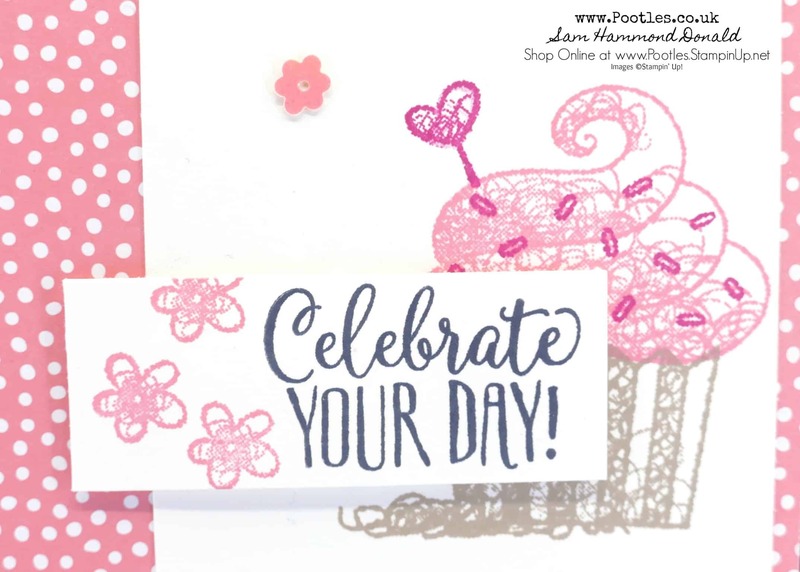 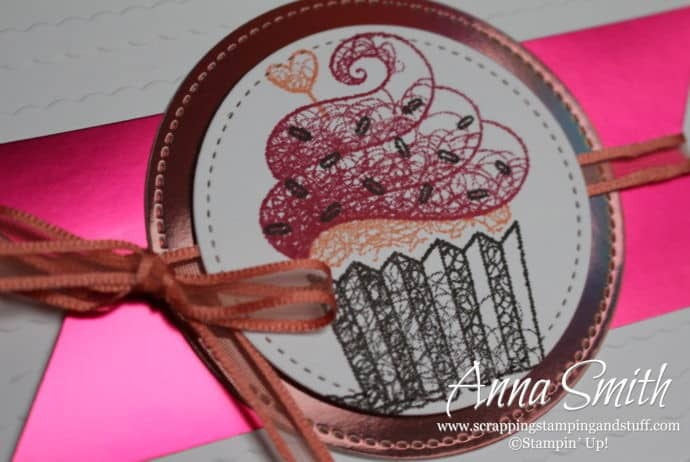 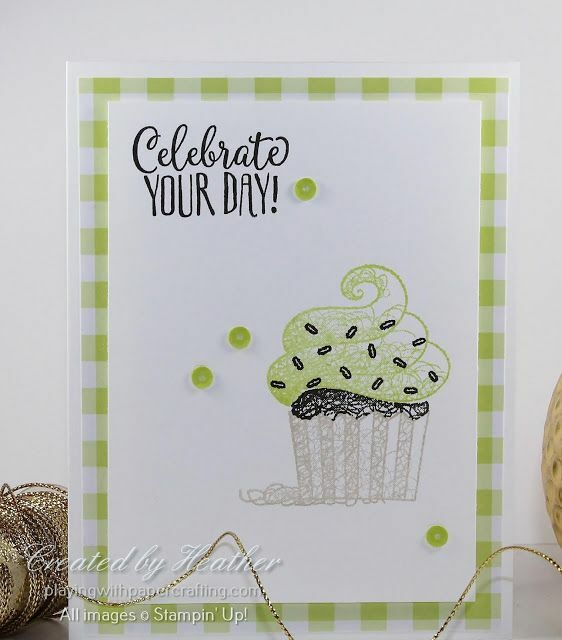 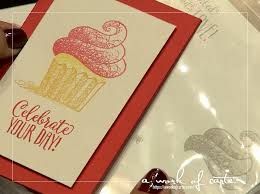 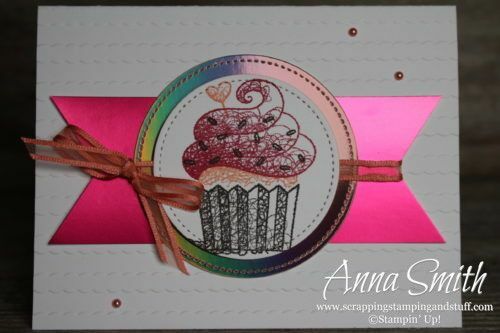 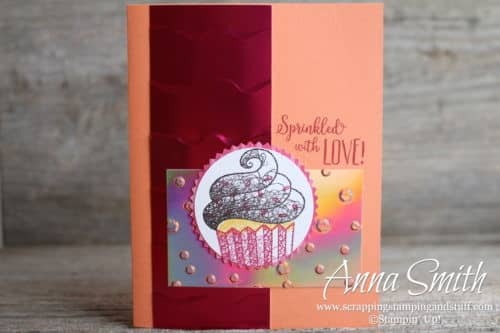 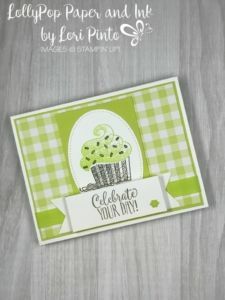 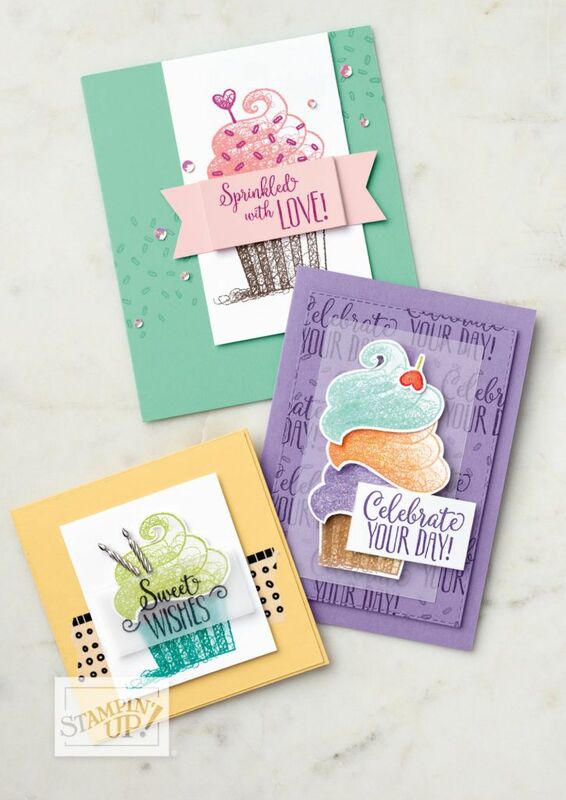 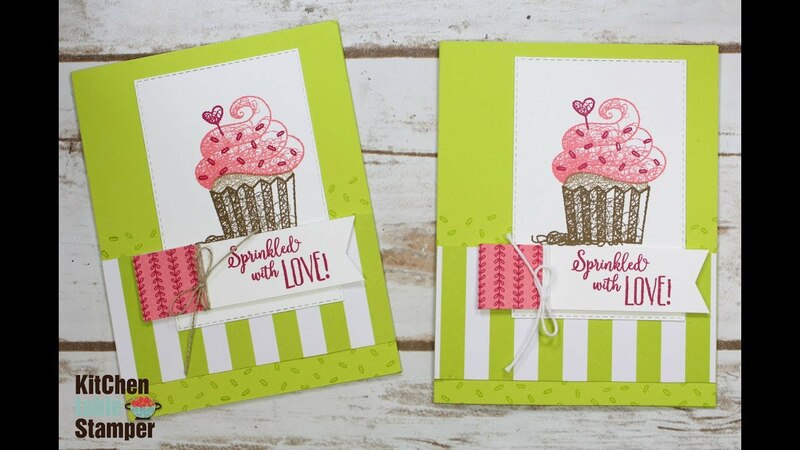 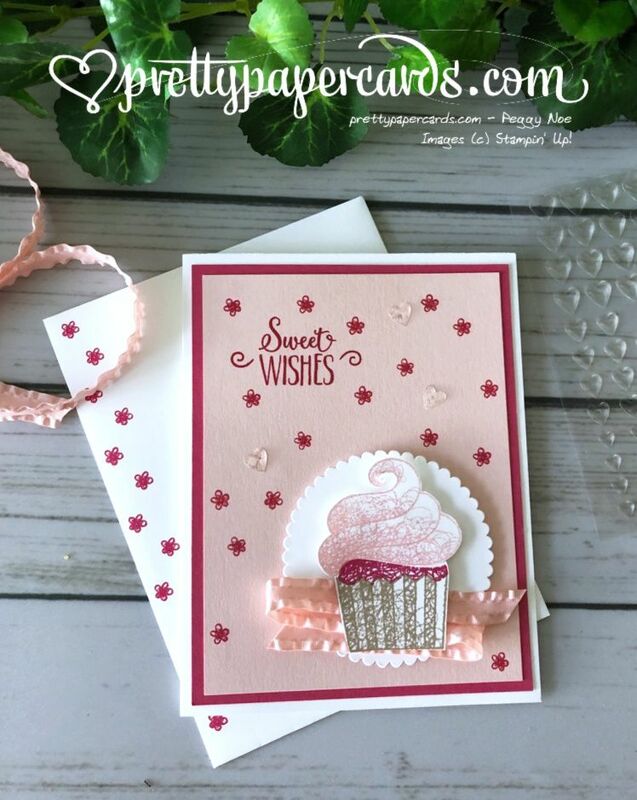 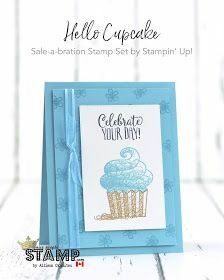 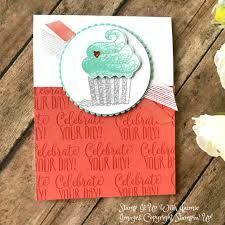 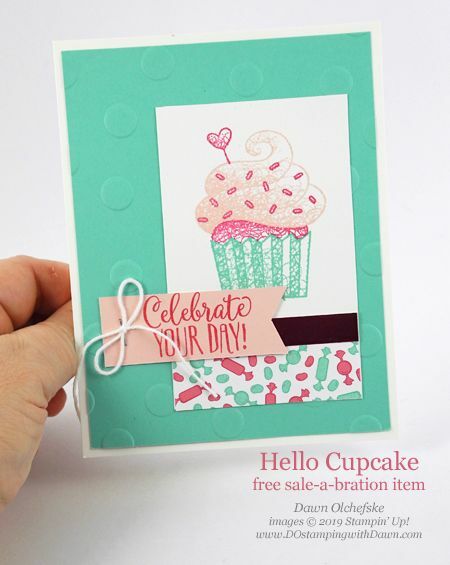 Hello Cupcake Sale-a-bration Stampin' Up! 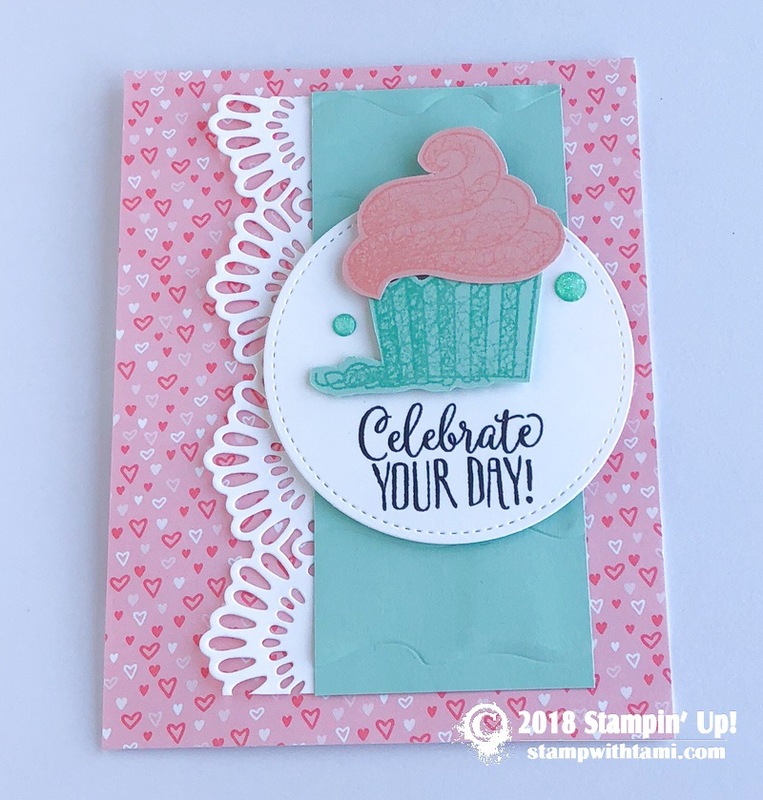 I stamped the case first in Crumb Cake, then added a Flirty Flamingo frosting top and finished with Melon Mambo sprinkles and heart lollipop. 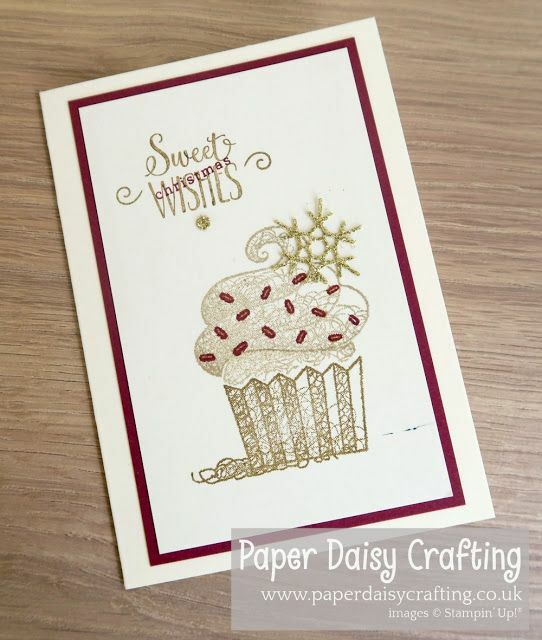 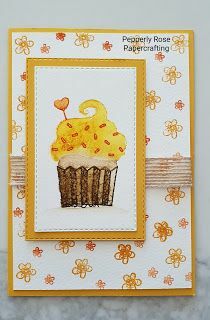 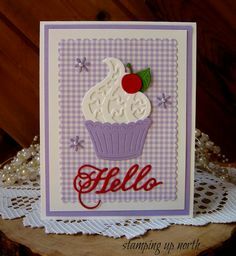 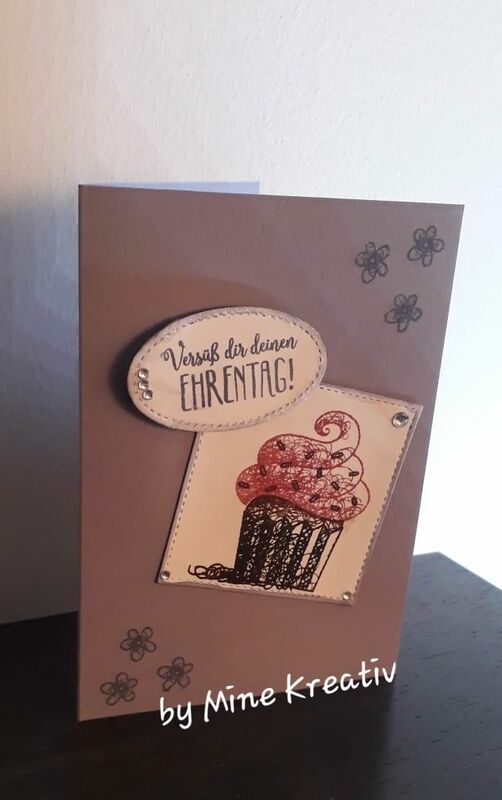 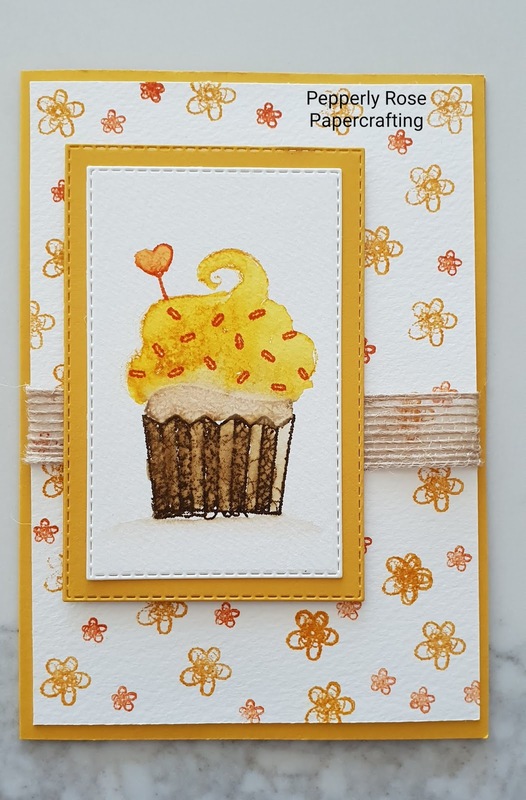 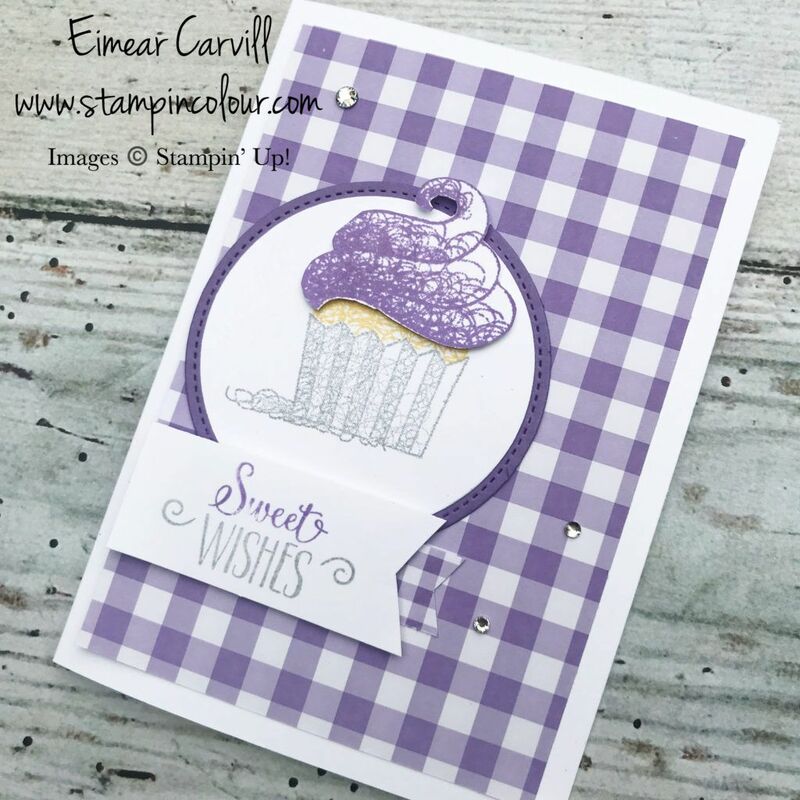 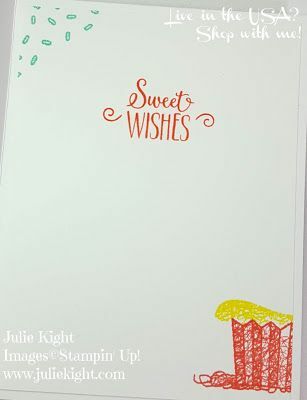 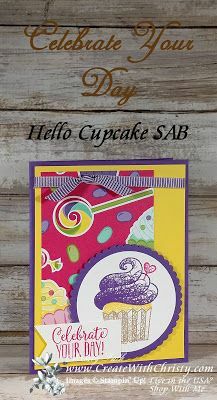 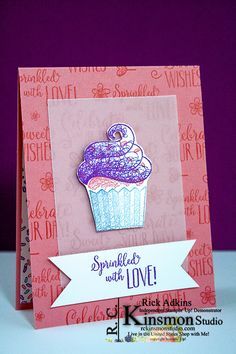 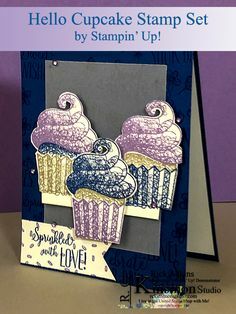 Hello Cupcake (SAB freebie) birthday card, using supplies from Stampin' Up! 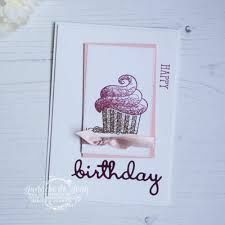 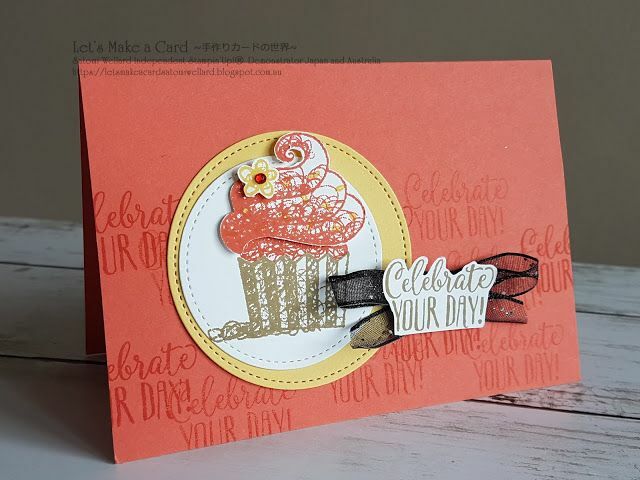 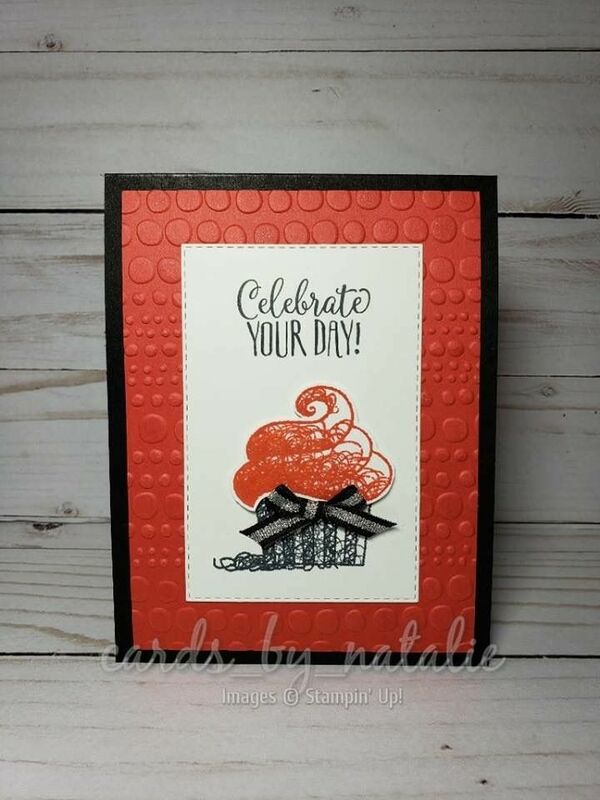 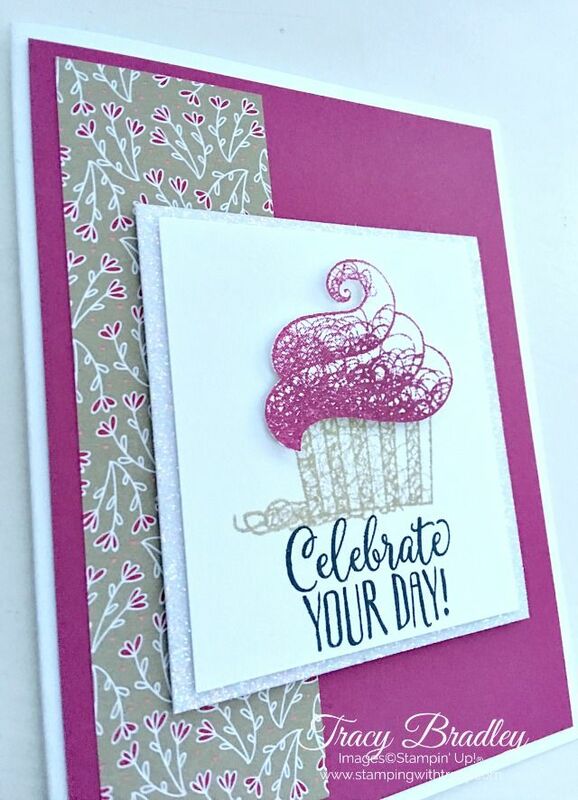 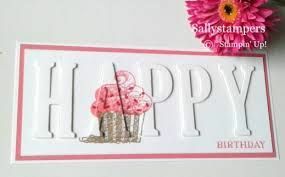 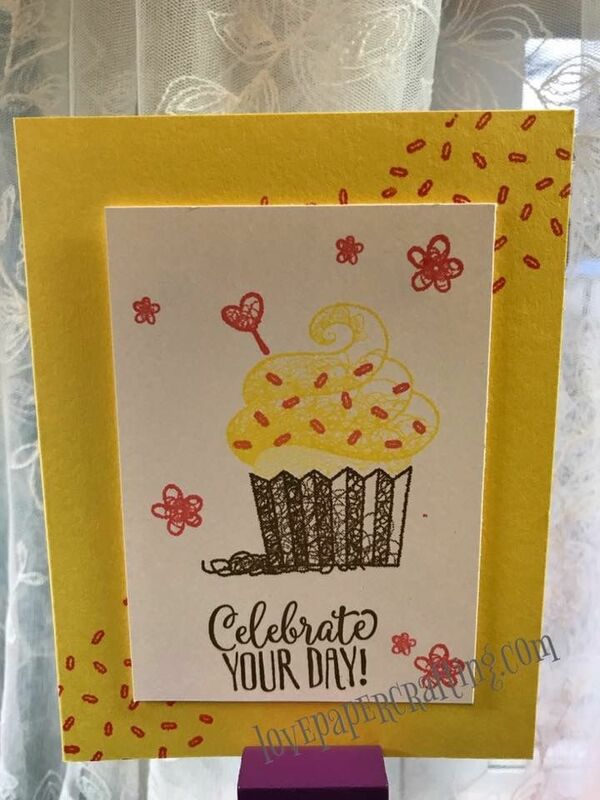 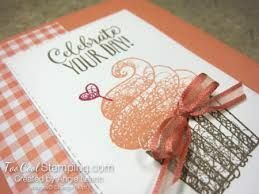 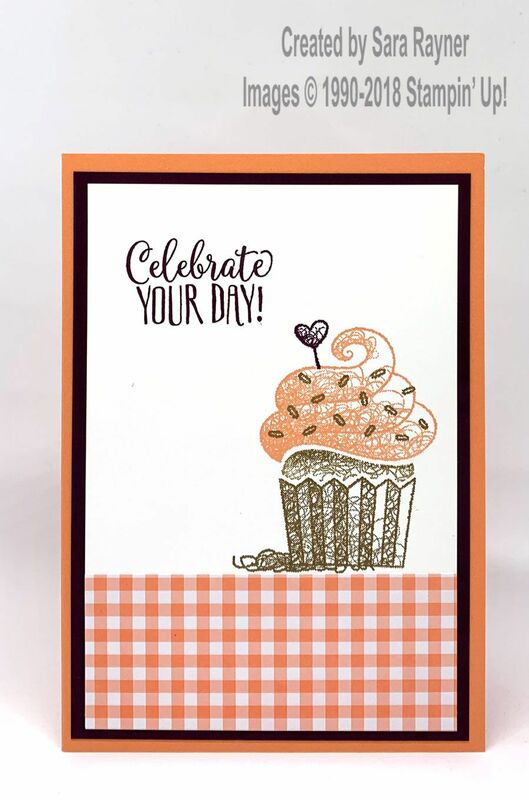 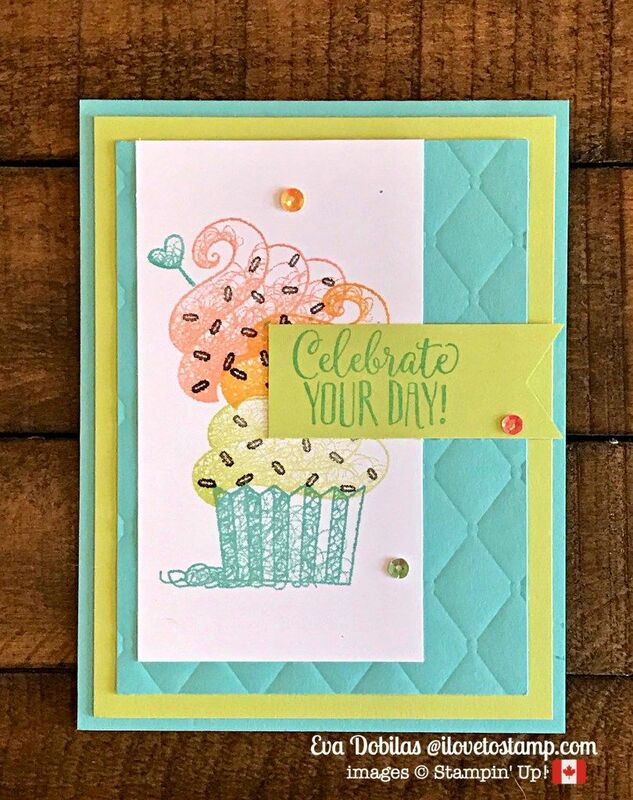 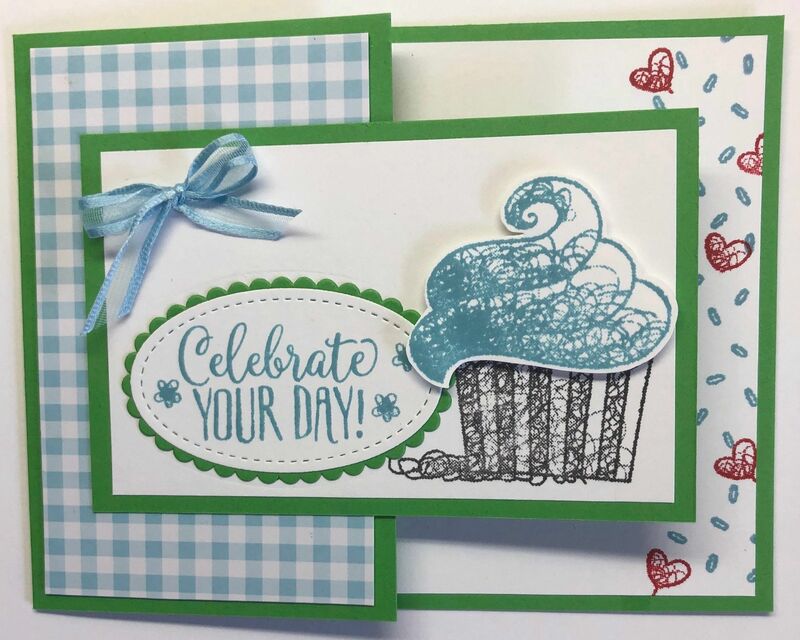 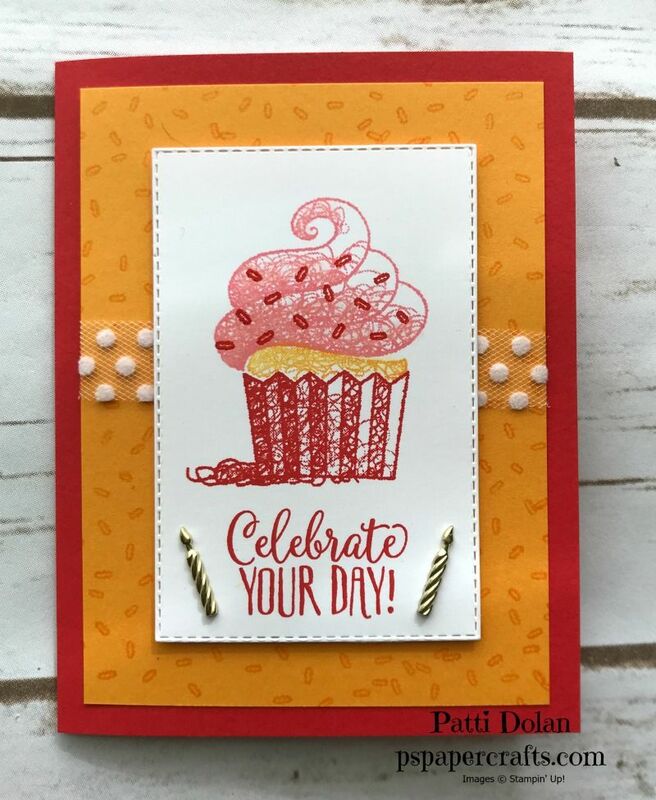 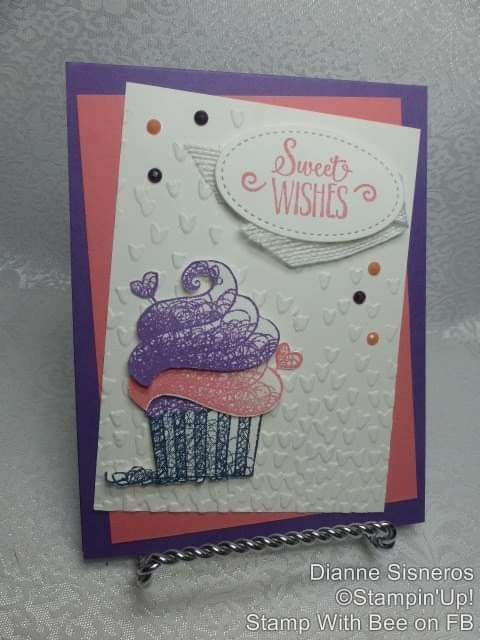 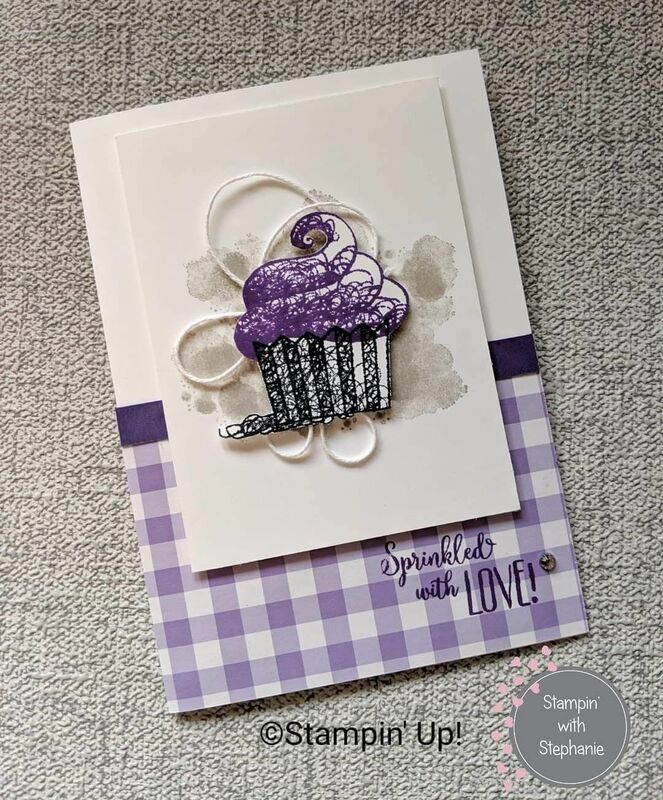 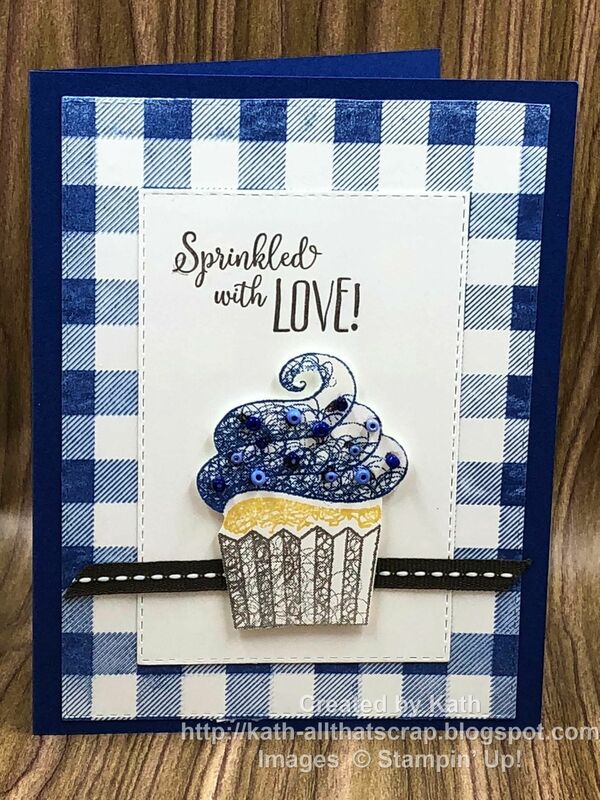 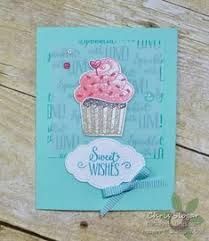 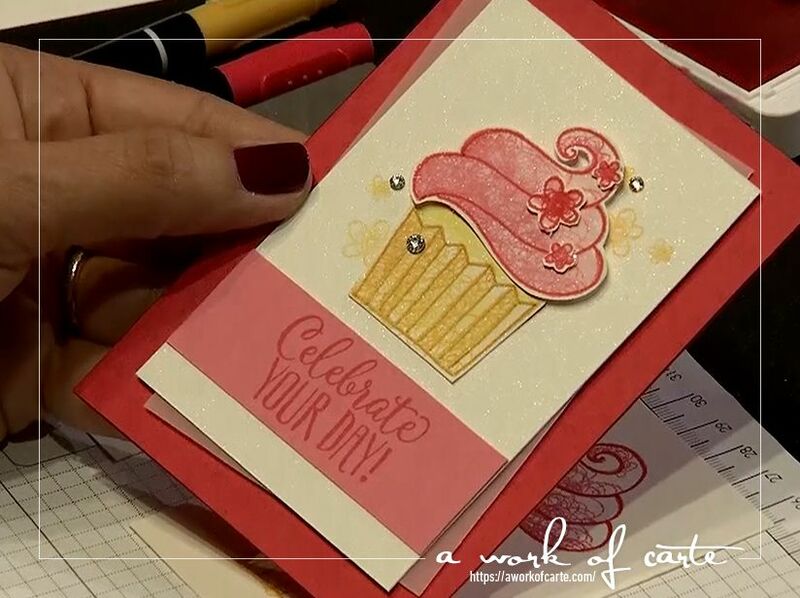 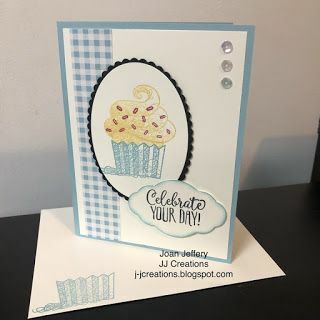 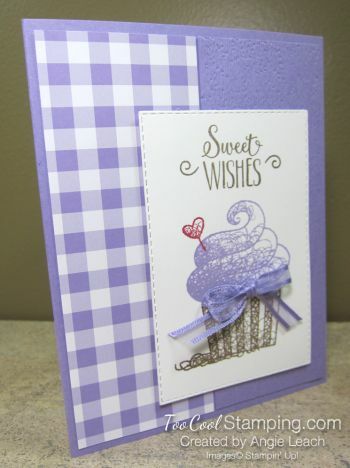 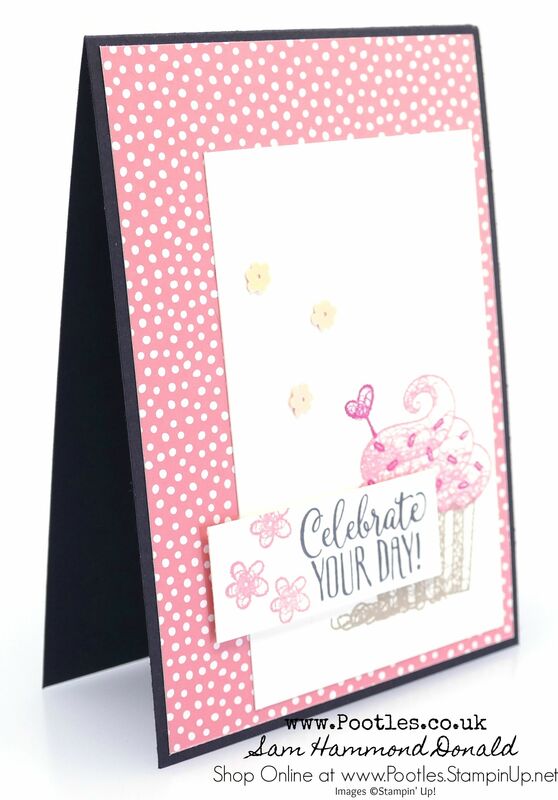 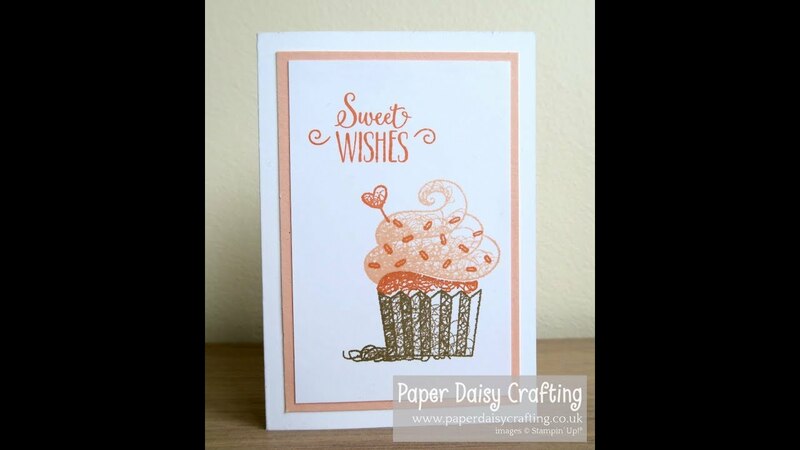 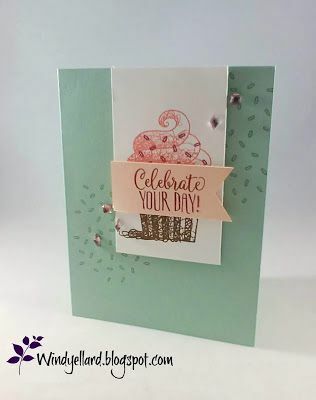 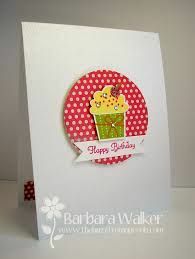 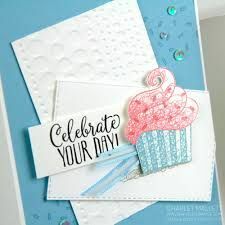 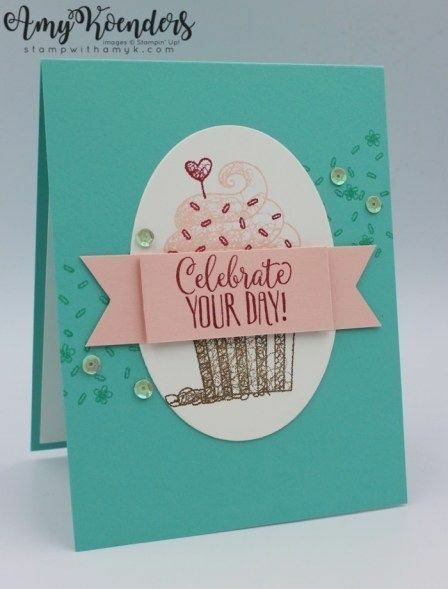 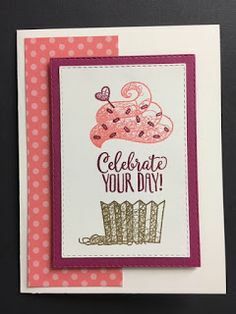 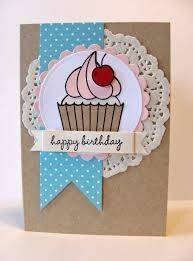 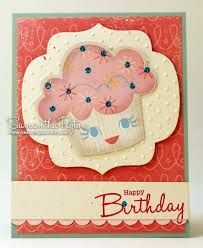 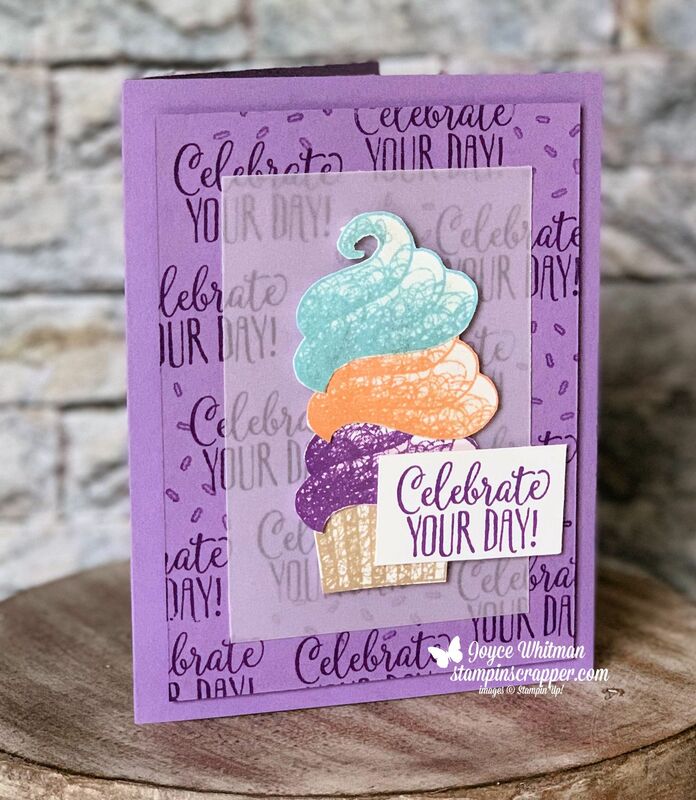 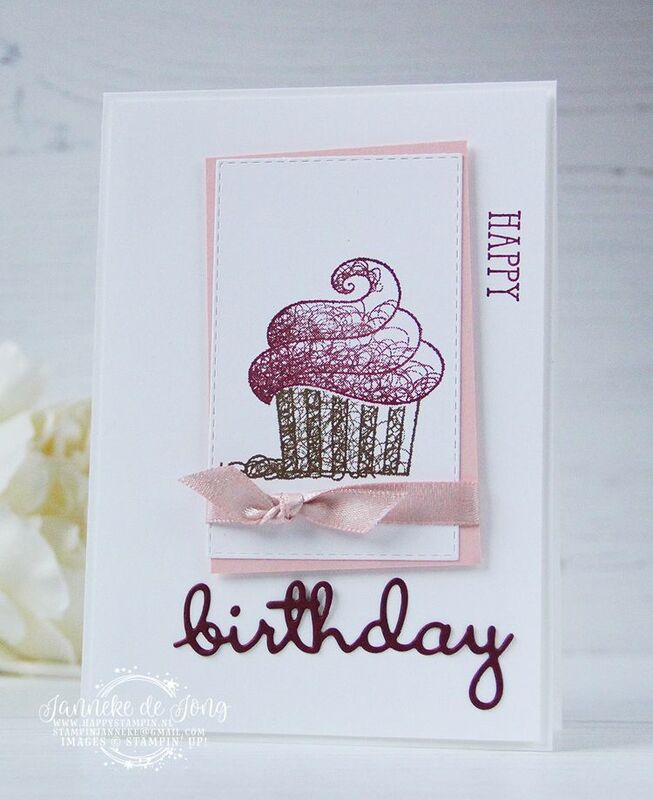 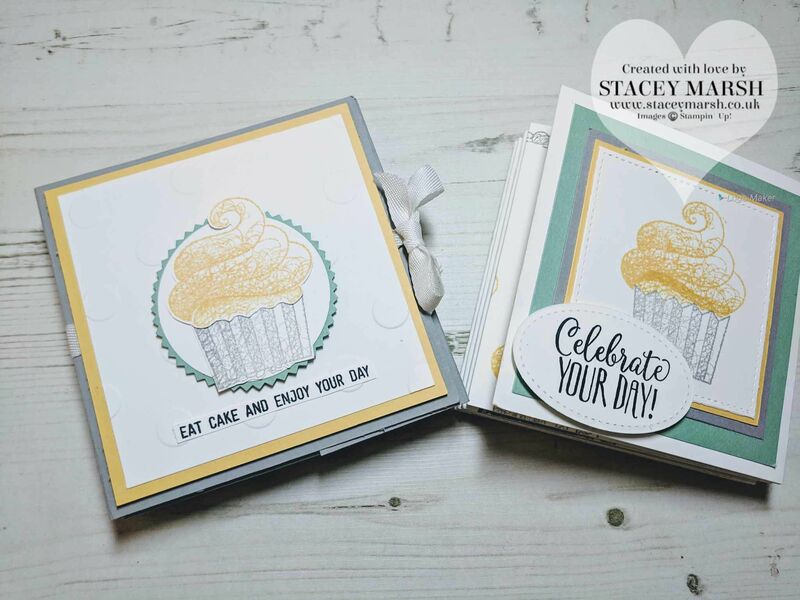 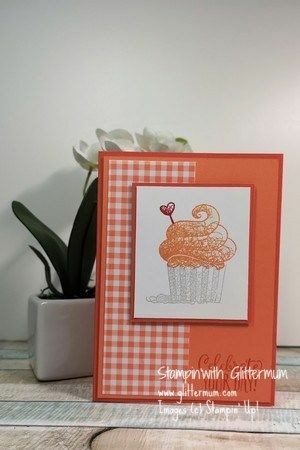 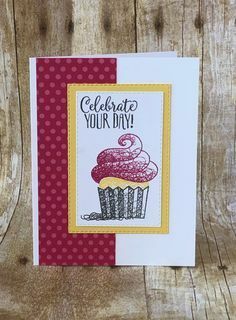 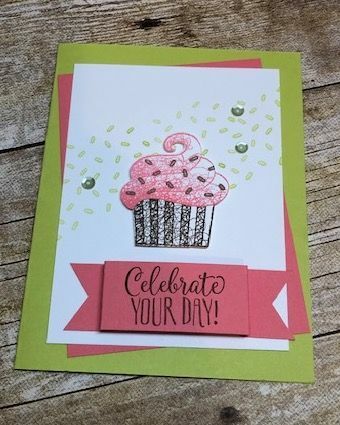 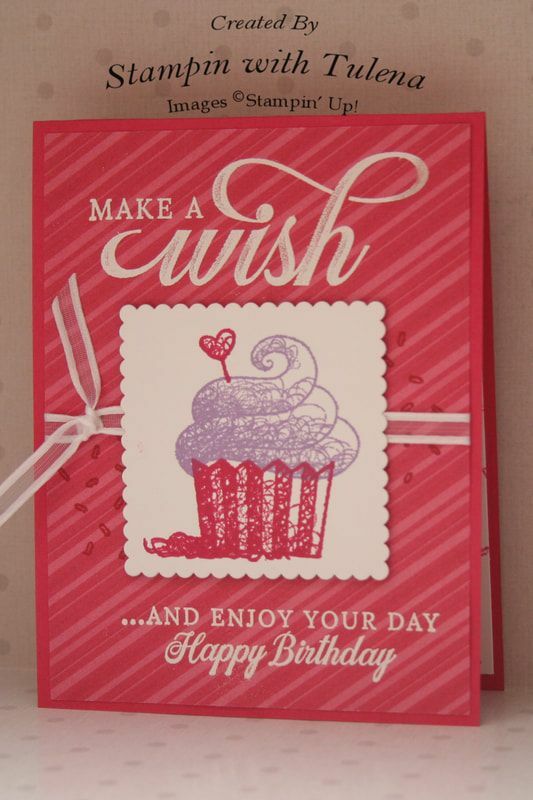 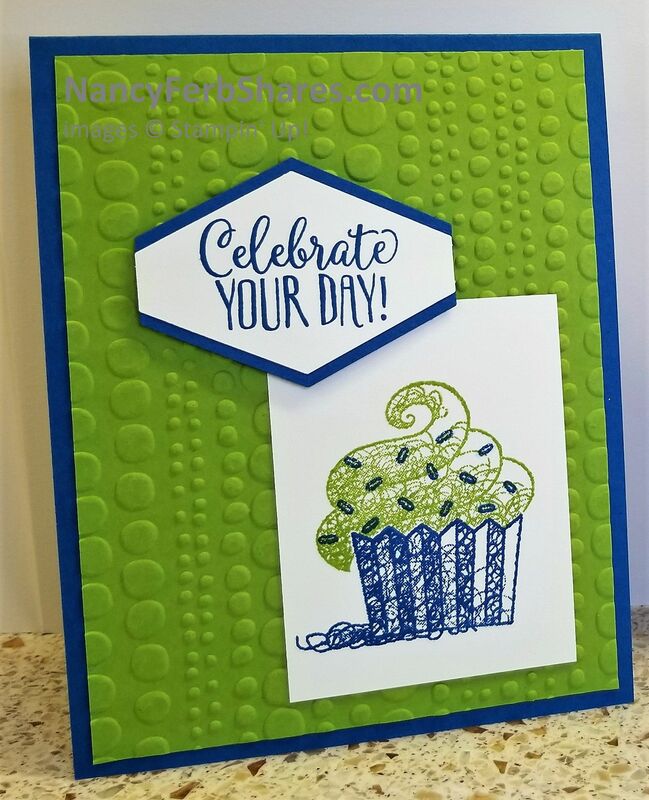 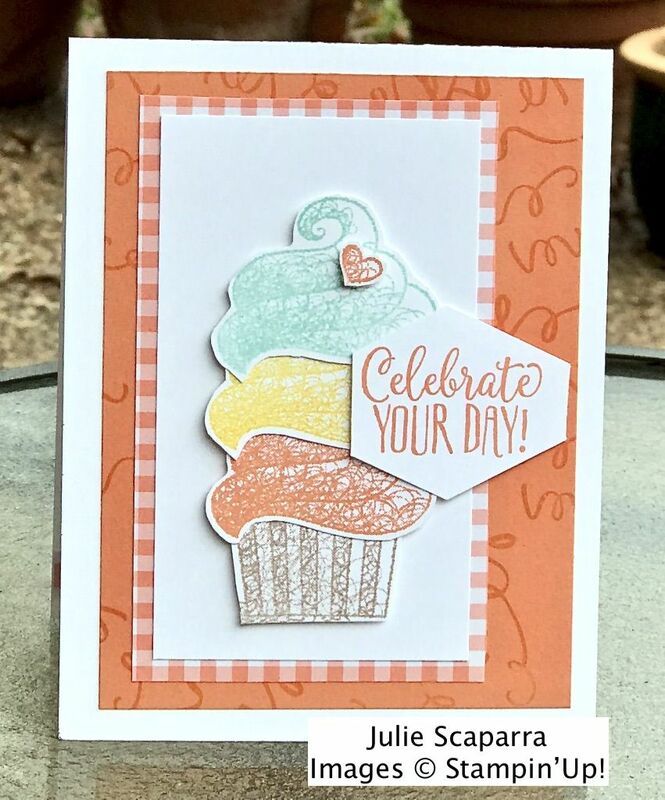 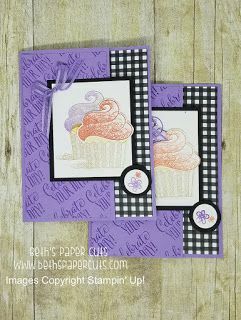 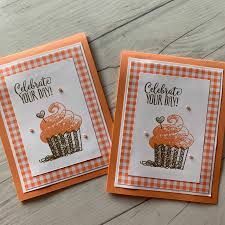 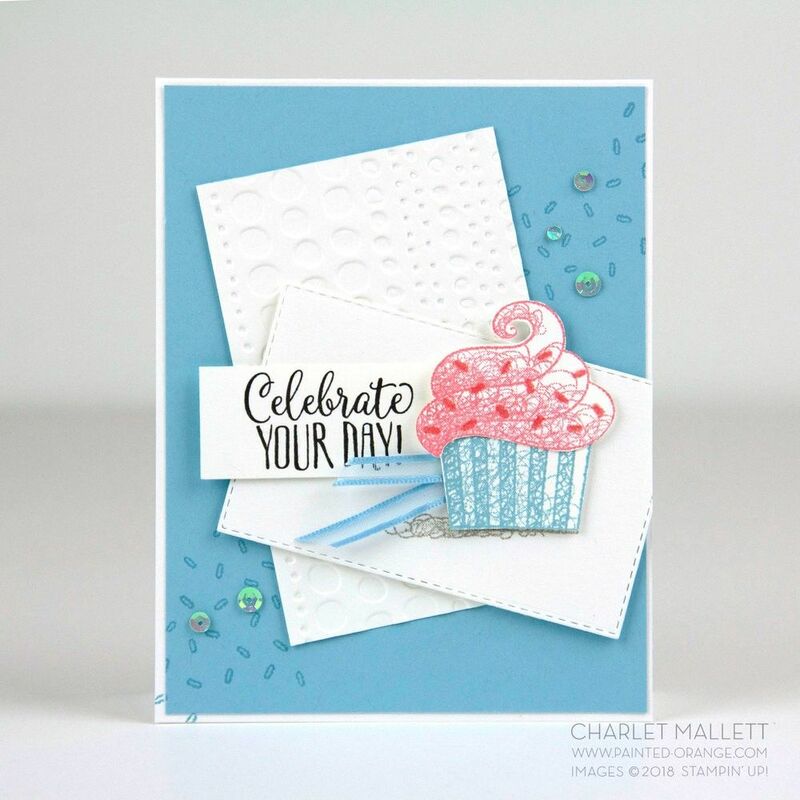 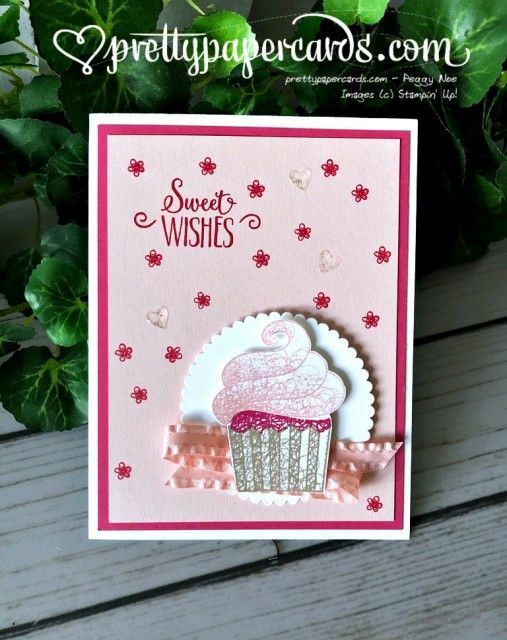 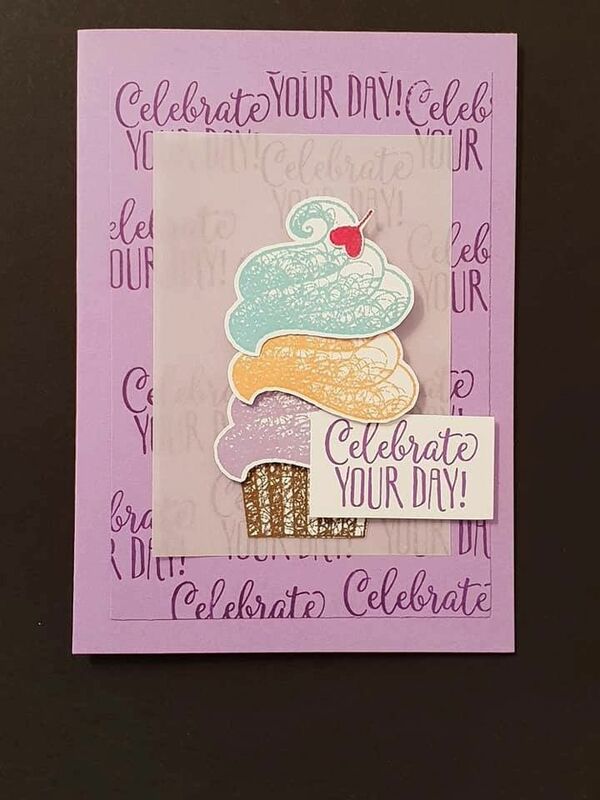 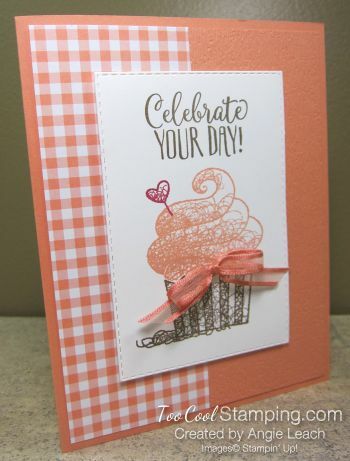 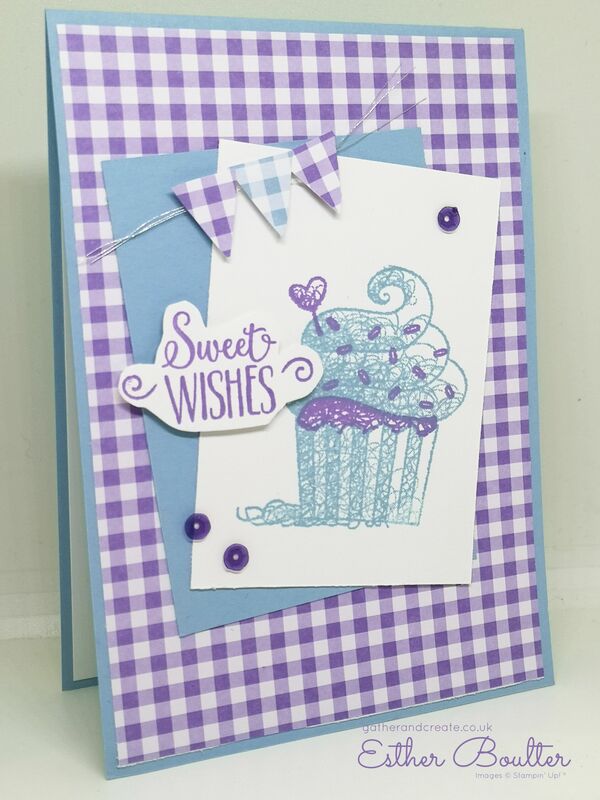 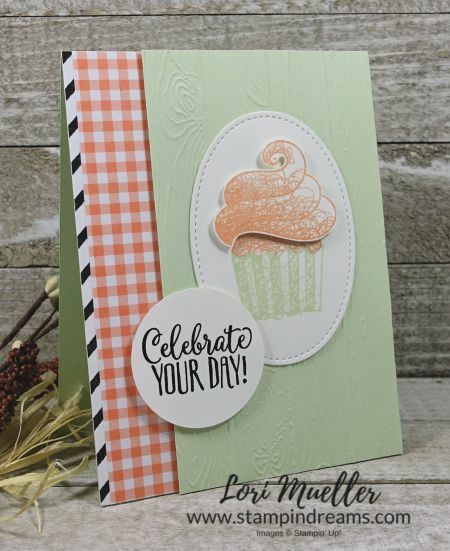 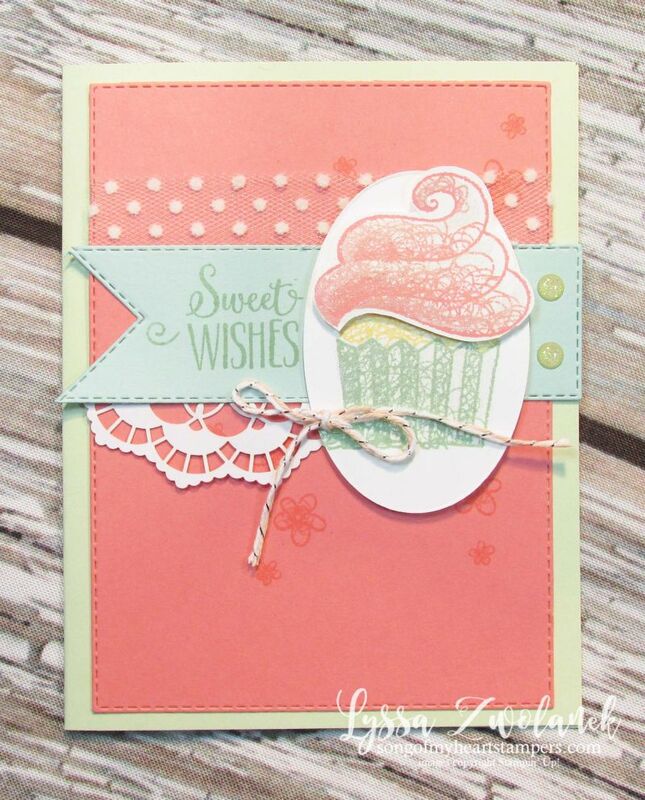 Laurie here from Stamping Up North sharing a birthday card I made with Cheery Lynn's cupcake die.